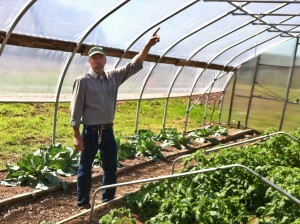 Mason County farmer Bill Hughes doubled his acreage under cultivation after he started selling produce through the Farm to School program. West Virginia schools spend about $110 million each year on food. If the schools bought a tenth of that locally, West Virginia farmers would make $10.1 million. “We’re looking at an enormous potential market of healthy, local food,” said Tom McConnell, director of the West Virginia Small Farm Center. 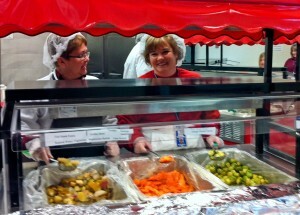 Lunches made from all-local food – like this one at Sissonville Middle School – are popular with students. 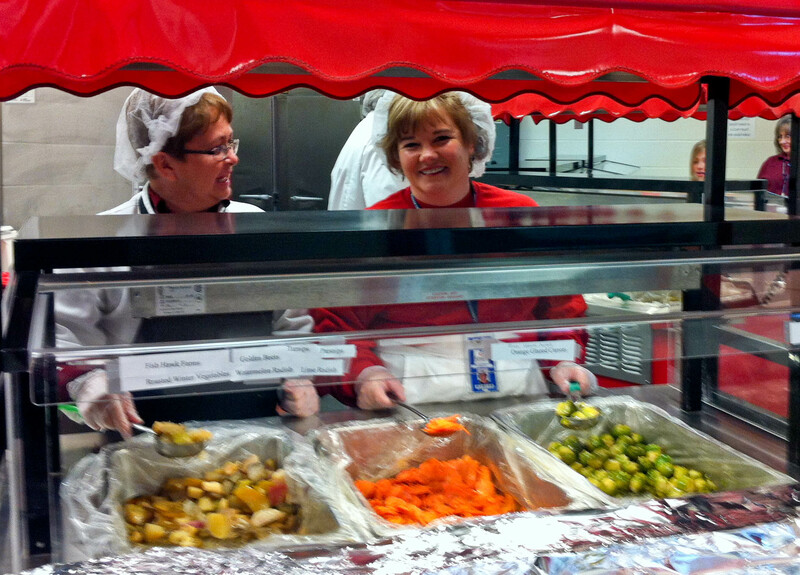 The Office of Child Nutrition started expanding the program in 2010. A few years later, half the counties are participating. “We’re steadily increasing the percent of the food dollar that goes to West Virginians,” Leigh said. 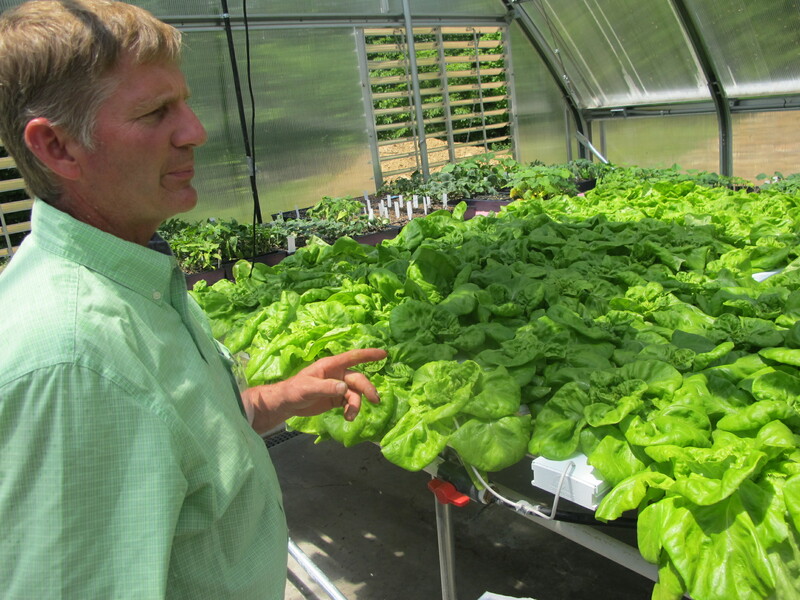 Through their hydoponic system, Tucker County High School students grow salad greens they sell to the school system to support the program. Ag teacher Terry Hough secured the system through WVU Extension Service. The state is also planning facilities to clean, freeze, cut up and package produce for efficient sale, she said. The state is encouraging students who want produce and sell produce to the state, through a creative collaboration between Farm to School and the Ag Ed program. In 2012-13, participating students made between $2,000 and $10,000 apiece. Read more about the students here. 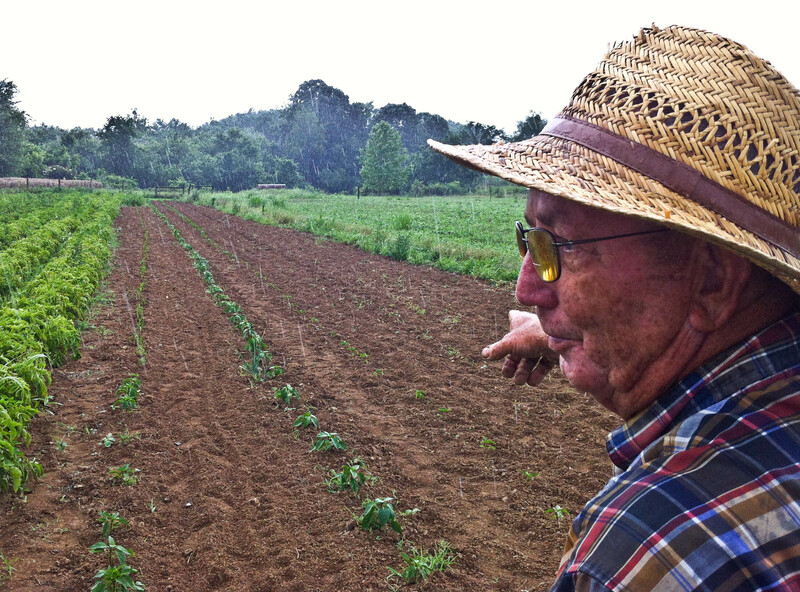 West Virginia schools were able to get start-up funds from the US Department of Agriculture. Beyond the obvious dollar advantages, most national research is finding that children who attend schools that draw attention to the presence of fresh, local food tend to eat more of that food and show more interest in having it. Want to grow your Farm-to-School program? US Department of Agriculture (USDA): Farm to School. Wide variety of resources from the national funding agency. The USDA Farm to School Census can help you find info about what’s happening in your area. 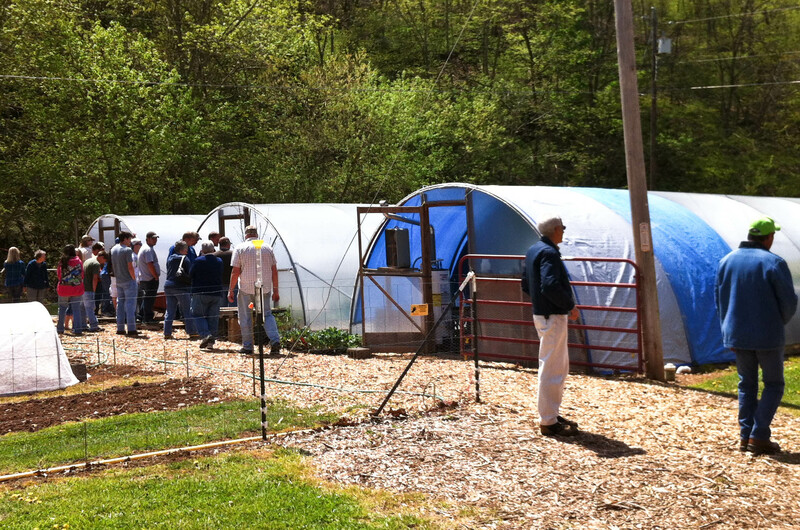 Clay County High School students visiting the high tunnel greenhouses at the New Appalachian Farm and Research Center. West Virginia Department of Agriculture. The Department of Agriculture is the lead state agency for Farm to School. West Virginia Office of Child Nutrition: The Office of Child Nutrition can help connect you with your county food service director. http://wvde.state.wv.us/child-nutrition. Ask for Becky Leigh. West Virginia Farm to School Network, a division of the National Farm to School Network. Regulations, contacts, how-to. 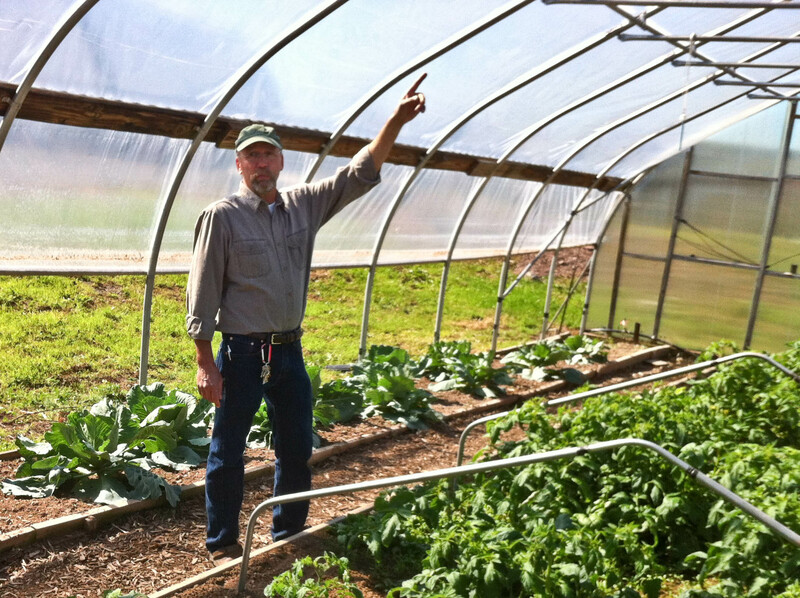 Hampshire County High School vo-ag teacher demonstrates features of the school’s high-tunnel greenhouse that lets students produce salad and melons for the school cafeteria long past the growing season. WV Small Farm Center (WVU Extension Service): Practical help for farmers, creative innovations in funding and distribution of local food. Wonderful annual conference. West Virginia FFA and Agricultural Education. These people help young people who want to go into farming learn how to make money. The young people you see on this page are in their program. 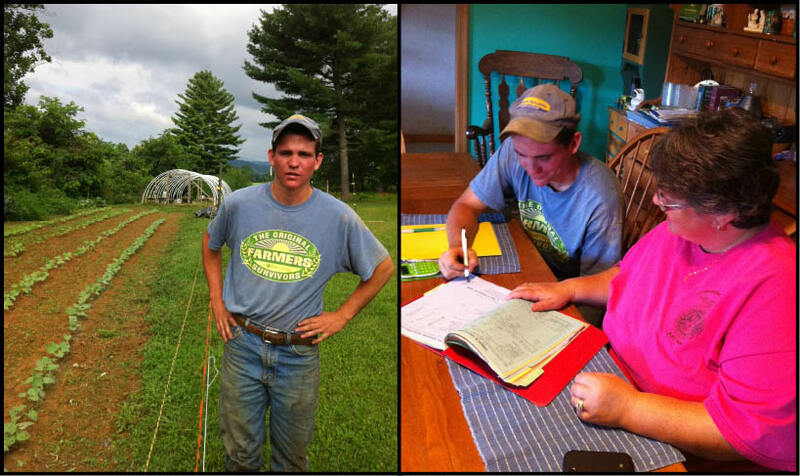 Greenbrier County high school student Dylan Lewis made thousands of dollars in the summer raising food and selling it through the Farm to School program. His Vo-Ag teacher, Beth Massey, helped him with his bookkeeping and other business skills. Talk with the school food service director for the counties with the highest sales: Cabell, Fayette, Greenbrier, Hampshire, Morgan, Berkeley, Putnam, Upshur, Mason. How do they do it? USDA Farm to School Blog, aimed at statistic and data fans. Watch this: http://www.parents.com/kids/nutrition/lunch/healthy-school-lunches-snacks/#page=4 President of national Farm to School network . Good info about cost and other benefits. Have something to add? Write it in “reply” below, with your contact info, in case we have questions.